tech neck noun informal wrinkles in the neck area caused by looking down at phones, tablets, etc. A spokesperson for WhatClinic.com, who carried out the research, said: ‘Buffalo humps can be an unusual side effect of certain medications, but more often they appear over time, through obesity. Poor posture doesn’t help either, making it more noticeable. Sitting too much, sometimes called sitting disease, may increase the risk of disability in people over age 60, a new study suggests. Pingback: (EN) – New words: 14 July 2014 | Cambridge University Press | Glossarissimo! I like the term tech neck but I feel more appropriate to use it when reffering to stiffed neck and alike conditions related to the electronic gadgets overuse. 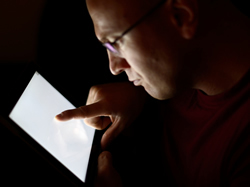 Wrinkles simply are not the only harm which long staring at the screens inflicts to our necks.